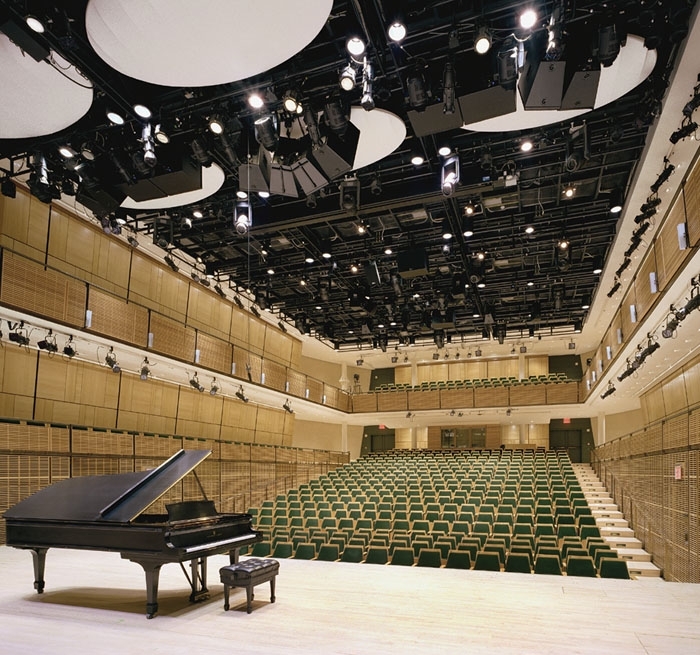 Opened in 2003, Judy and Arthur Zankel Hall provides Carnegie Hall with a highly flexible space perfectly sized and equipped for a wide range of musical performances. Part of the space that Zankel Hall currently occupies was originally a recital hall when Carnegie Hall opened in 1891 and subsequently went through numerous changes over time. 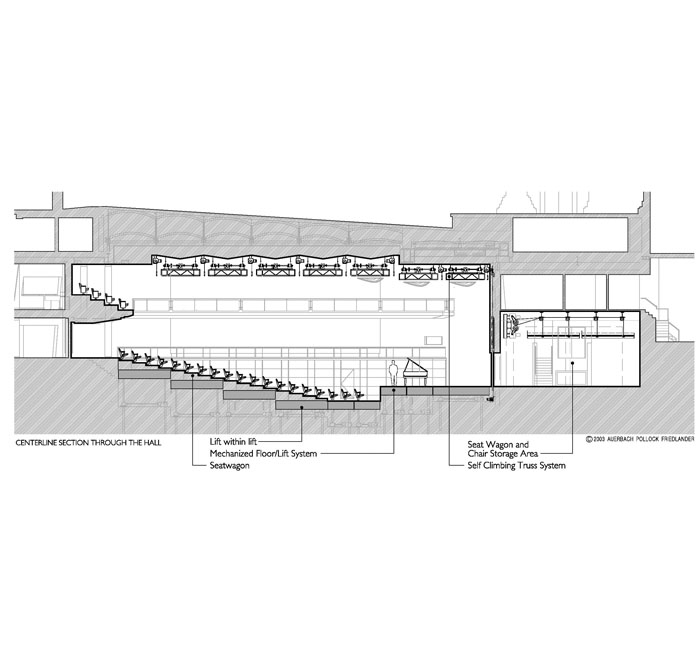 However, in order to create the volume needed for Zankel Hall’s program, an additional 6,300 cubic yards of bedrock was excavated beneath Isaac Stern Auditorium, Carnegie’s main performance space. 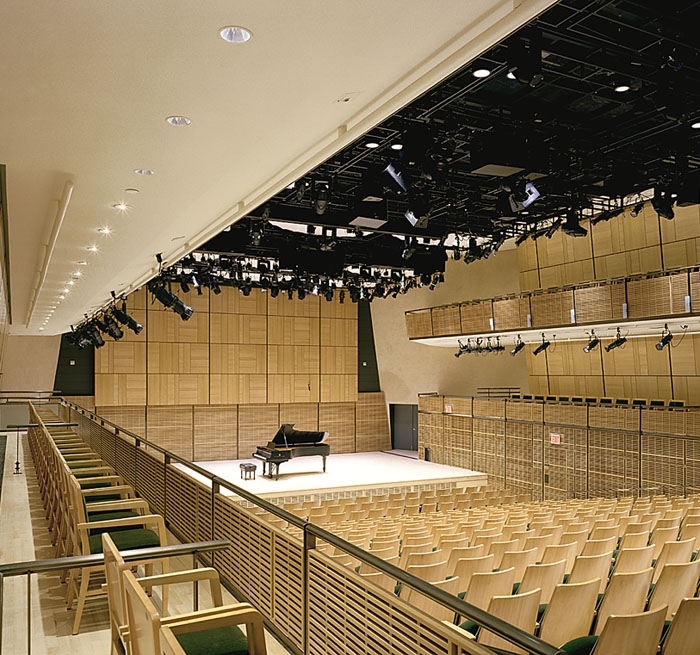 Zankel Hall supports multiple configurations for performances, rehearsals and educational functions and is designed to meet Carnegie Hall’s vision to provide musical offerings from traditional to contemporary and experimental. Depending on the stage arrangement, the hall seats 540 in its smallest and 644 in its largest configuration. These configurations are accomplished by the use of 9 stage lifts and 12 seat wagons. Overhead rigging is provided by 21 self-climbing truss units. 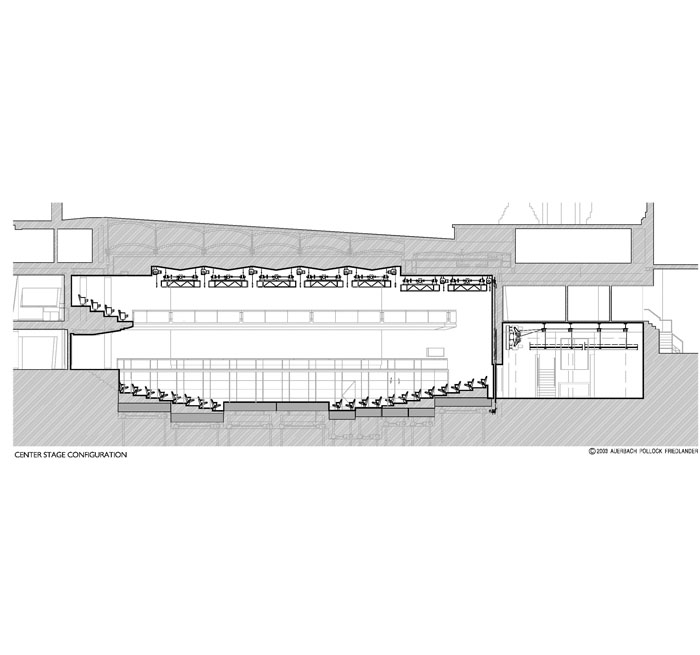 Auerbach Pollock Friedlander advised on all aspects of theatre design, from the layout of public spaces and backstage support facilities, seating and audience circulation, to the design of the theatrical systems – automated stage machinery, lighting, and performance audio-video systems – which form a flexible infrastructure.